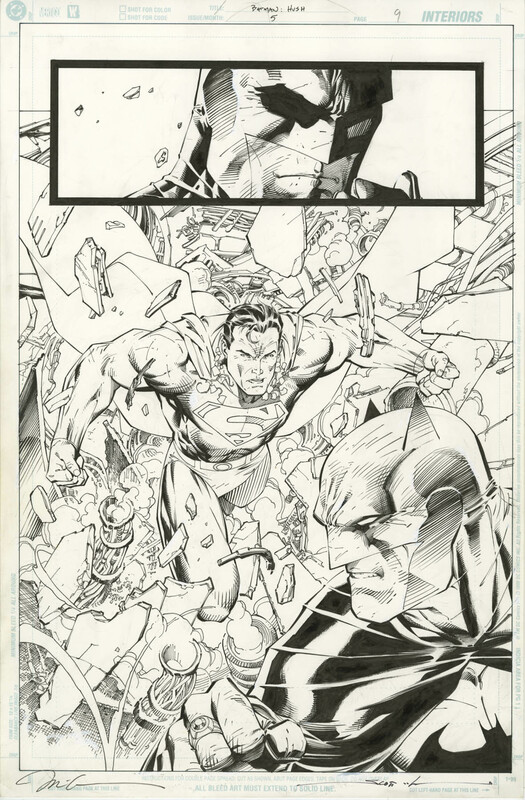 Welcome all, today we’re shining the spotlight on megastar artist Jim Lee! Jim is one of the few currently active creators who has managed to maintain a deity-level status in the hobby throughout his entire career. 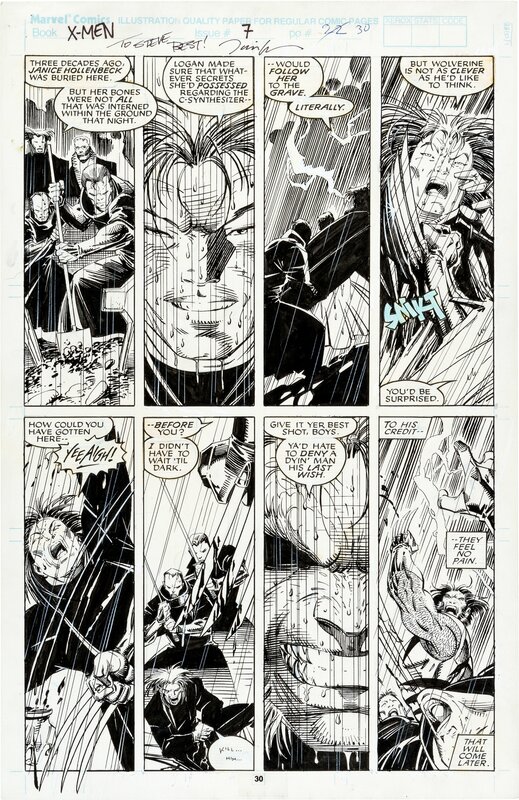 He exploded onto the scene in 1989 penciling Uncanny X-Men, before launching X-Men in 1991. Jim’s UXM/XM run is arguably his most sought after work by OA collectors. 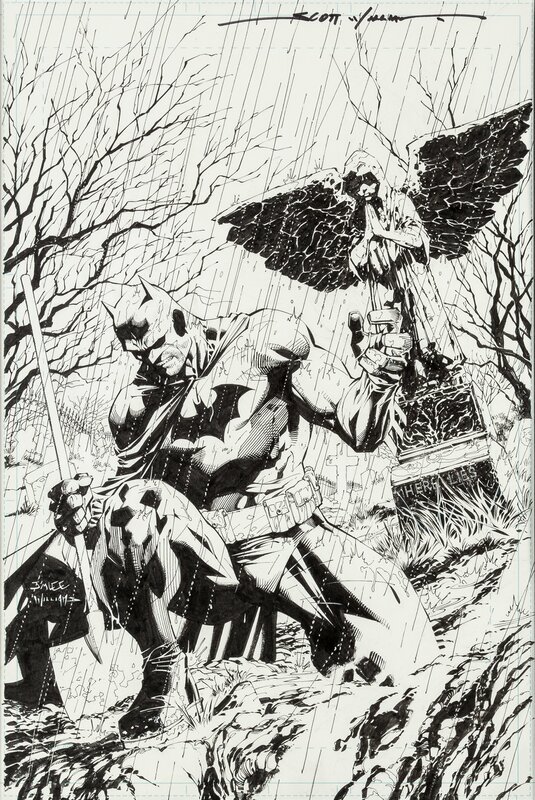 However, this remains open to debate because in 2003 Jim produced what some consider to be his finest work – Batman’s “Hush” arc (which Jeph Loeb tailor-wrote for Jim to showcase Batman’s rogues gallery). Jim of course has other notable runs, which I’ll cover below, but these two rule the roost in OA circles. 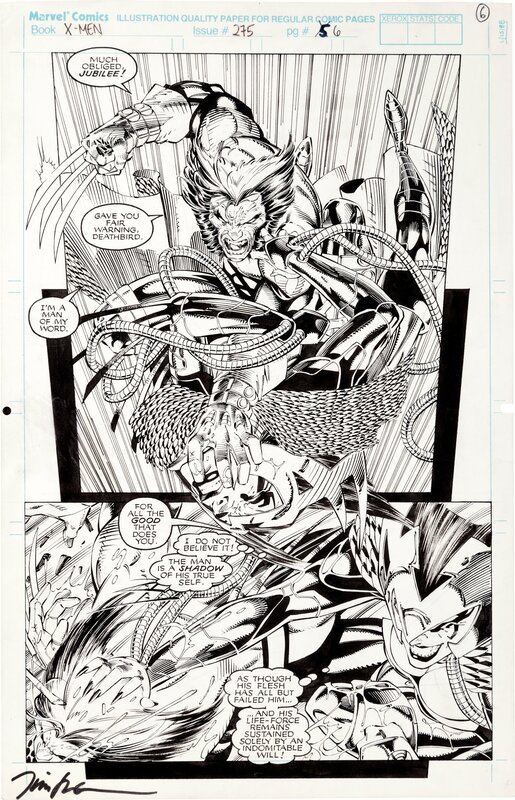 A point to note is that Jim’s art inked by long-time collaborator Scott Williams carries a certain cachet, as Williams is regarded as the inker who best brings out Jim’s pencils. 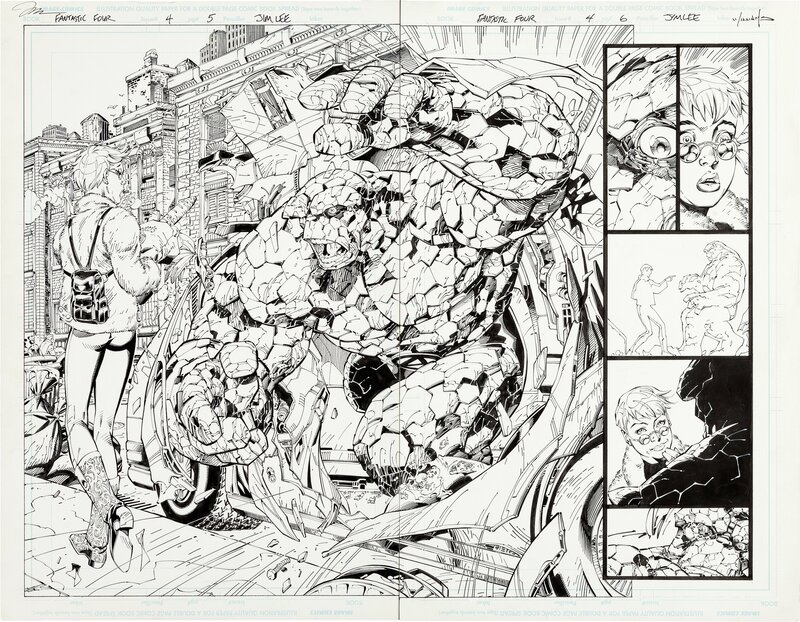 Jim and Todd McFarlane were the two supernovas of the hobby during comic book collecting’s last heyday (readership-wise) in the early-‘90s, influencing legions of creators and fans. 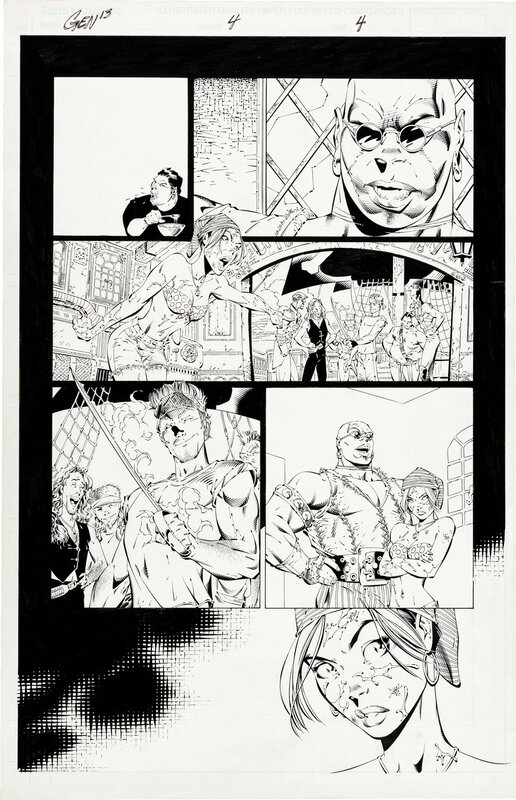 Jim’s legend was further embellished as one of the seven Image founders, and cemented when he joined DC then became its co-publisher. 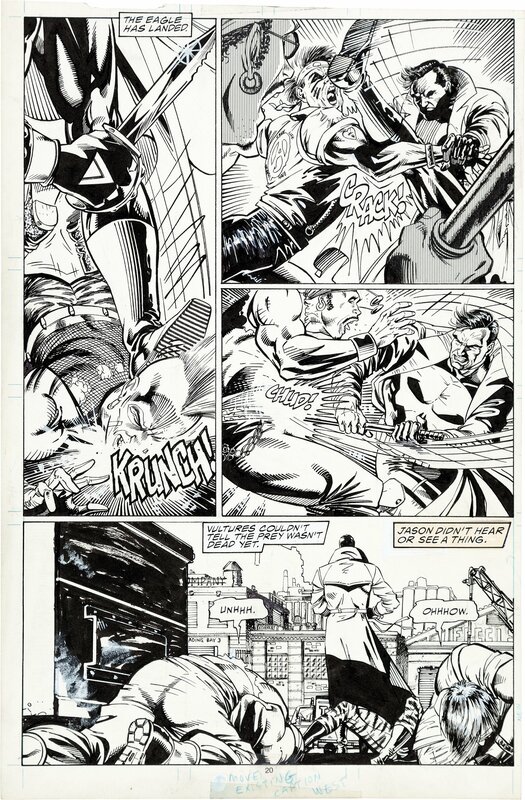 I believe that these accomplishments, along with his artistic prowess, firmly establish Jim in the pantheon of comic book immortals, ensuring that demand for his OA will remain strong. Public availability of quality UXM/XM pages appears to have dried up over the past year. Prices of the few pieces which did sell at auction seem to indicate that values have plateaued. However, I suspect this is an inaccurate picture of the overall Lee UXM/XM OA market, attributable to the small sample size referenced. Side Note: I believe the value of Lee UXM/XM OA (and OA from other popular early-‘90s runs) will appreciate in the coming decades. 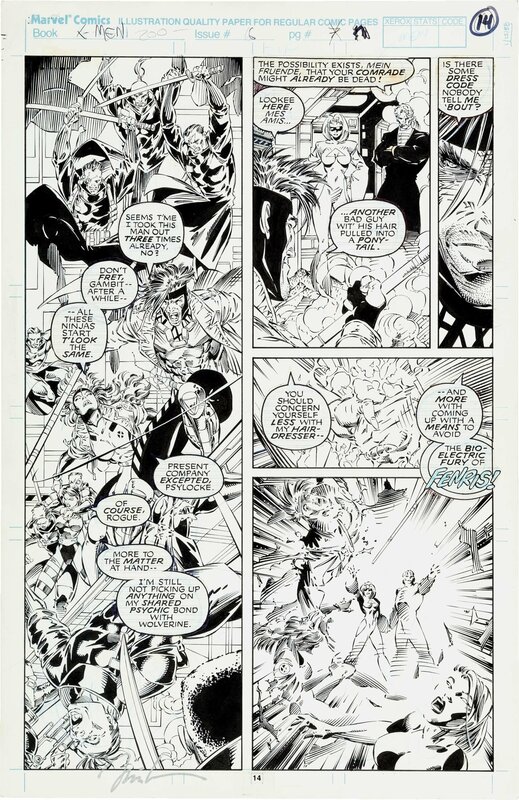 Present day 30-something year old collectors who were in their formative childhood/adolescent years when they read these comic books in the early-‘90s, are now hitting their prime income-earning years. As nostalgia for childhood pursuits kicks in and their spending power grows, this group of collectors will spend increasing amounts on OA (and other collectibles) from the 1990’s. This demographic also represents the last time that there was a critical mass of young comic book readers. From the late-‘90s onwards, youths tended to favour electronic forms of entertainment, and comic books increasingly targeted adolescents and adults. 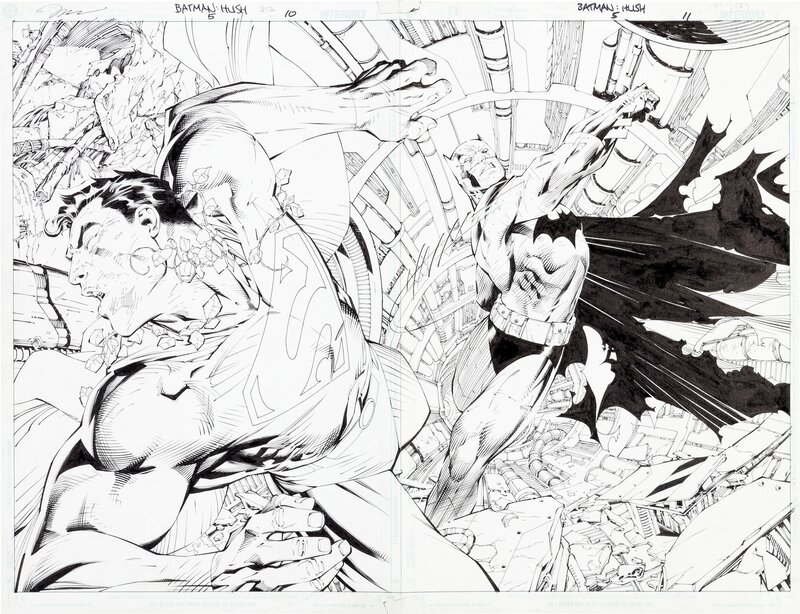 Alright back to Jim Lee OA! Below is a sampling of UXM/XM OA prices over the past year. A slew of OA from the X-Men Trading Cards Series 1 was auctioned off from 2014 to 2015. 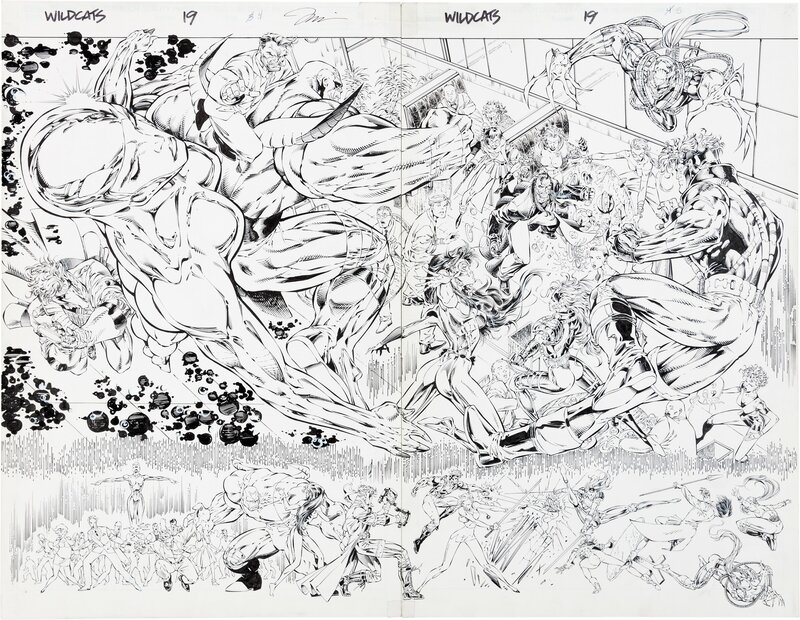 Prices ranged from around $500 for minor villains, to $5k for an X-Men team shot. 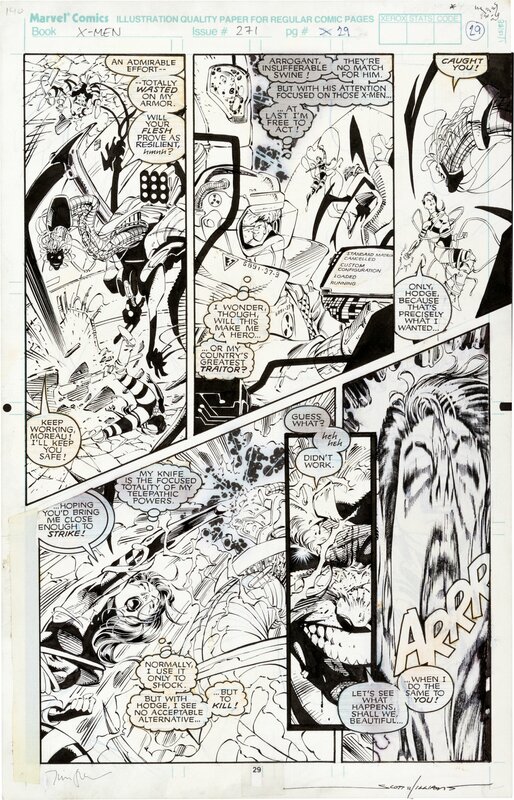 A number of top-class Hush pieces were auctioned off over the past year, in stark contrast to the limited supply of quality UXM/XM pages. 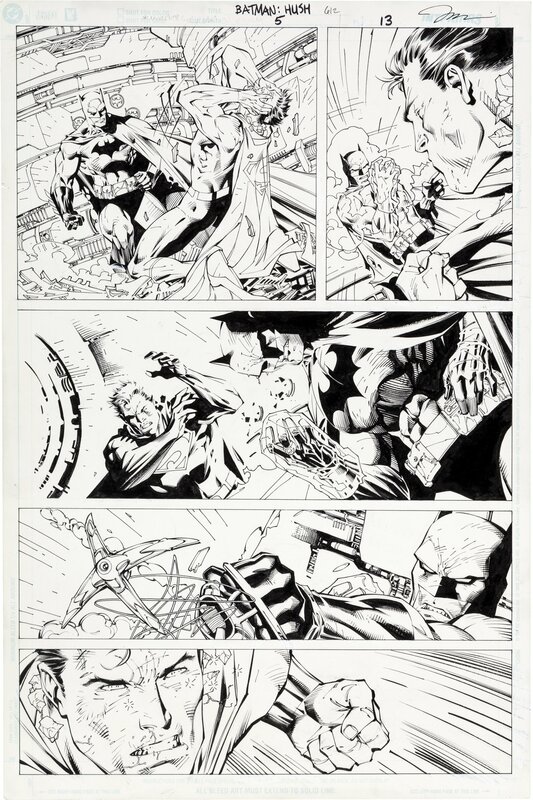 Do keep in mind that prices of the Hush pieces below are on the high side because most of them are desirable Batman versus Superman pages. These could have been consigned to coincide with the increased interest arising from the BvS movie. 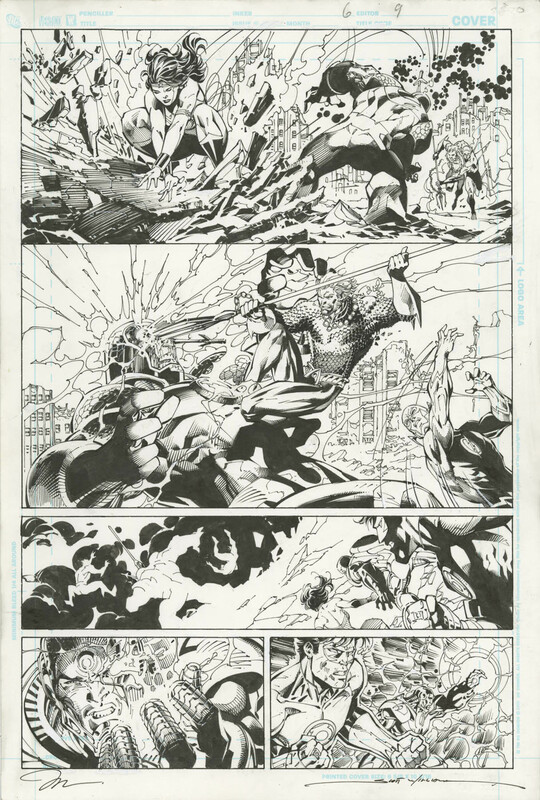 Jim’s Marvel work on Punisher War Journal and “Heroes Reborn” Fantastic Four are enticing alternatives to his UXM/XM work, along with being (relatively) wallet-friendly! Jim has produced a substantial amount of DC work over the last decade or so, and prices for the runs highlighted below are generally more affordable than his Hush work. 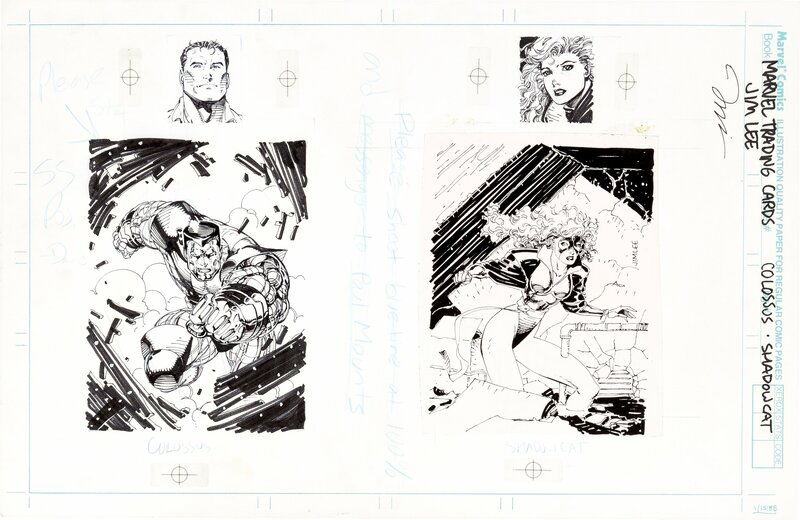 Jim worked on several titles during his time with Image, such as WildC.A.T.s, Gen 13 and Divine Right. For OA in general, the more recently produced it is, the lower the price versus that artist’s older works. 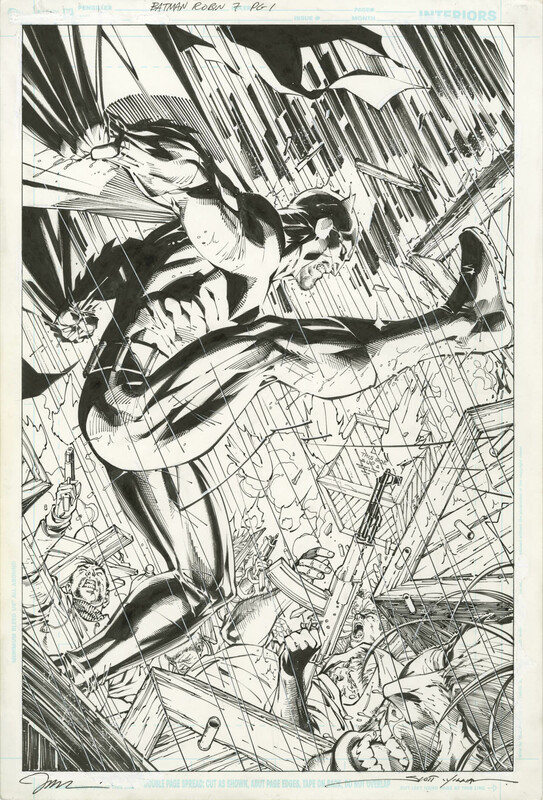 However, good news for fans of Jim’s Image art – it’s mostly more affordable than his Marvel/DC work! This is largely due to the fact that these Image characters don’t have the continuous and widespread exposure that the Big Two’s characters do. 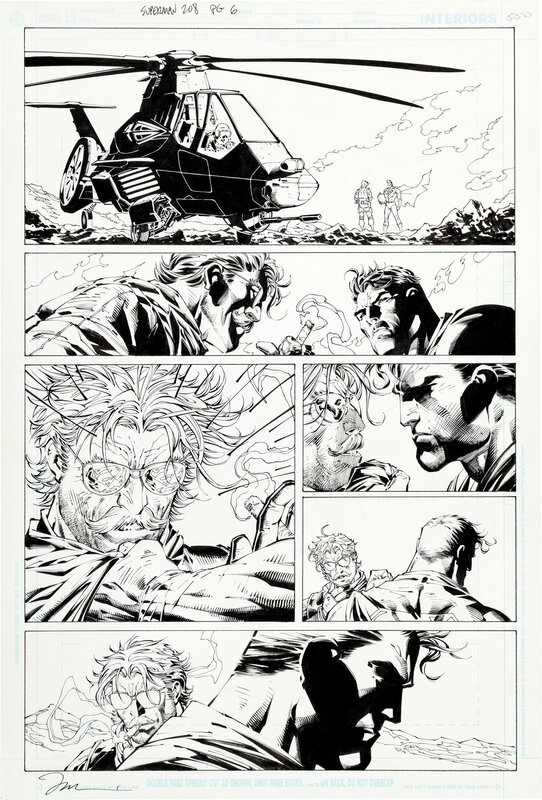 Where can I buy Jim Lee OA? You can purchase Jim’s modern OA from his rep, Albert Moy (Albert is also a major OA dealer). There are a few pieces for sale in the CAF classifieds; and keep an eye on the major quarterly auctions from HA, CLink, etc. Finally, enjoy browsing some of Jim’s fine work in CAF members’ galleries. Great article as usual. 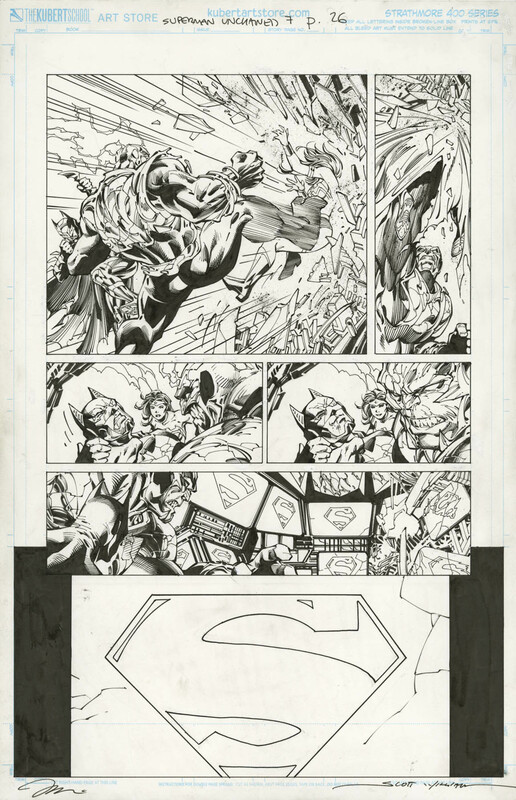 Those Superman pages seem incredibly cheap compared to what all his other pages are going for. Yes there’s a large amount of “affordable” OA from Jim’s Image and modern DC runs, which may prove to be bargains down the road. 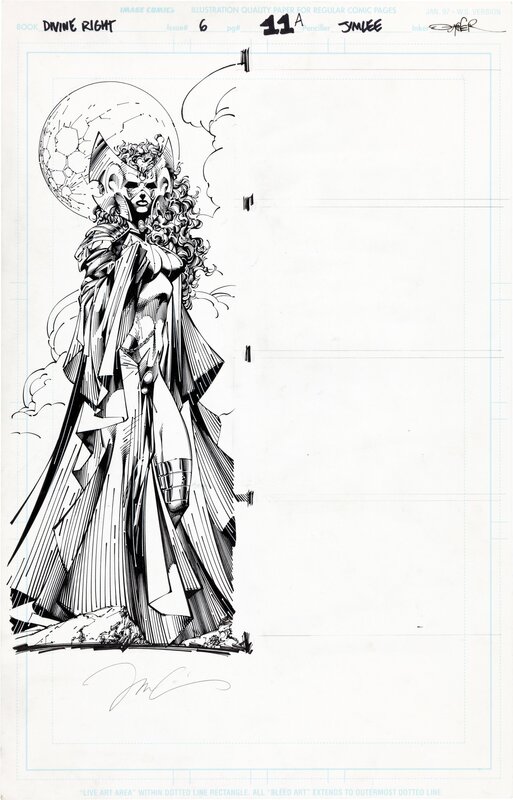 I for one think that WildC.A.T.s DPS was a great pickup at $3.3k!